4300D Carb Flooding - replacement? › 4300D Carb Flooding - replacement? HI Folks - Have seen lots of notes and have now experienced flooding issues with 73 Q code Autolite 4300D 4bbl carb. Has anyone successfully replaced with a comparable and satisfactory new carb with the spreadbore intake? Or will a change definitely require a new intake to match up? any suggestions? THANKS!!!! I'll make this quick. The 4300d carbs are notorious for having troubles. There is a Blue Thunder intake that is good and allows you to run a Holley. Might be a better choice for now. I wish I had better news. But be sure and save all of your original stuff!!!!!! (09-04-2018, 12:01 PM)Boss1Ray Wrote: I'll make this quick. The 4300d carbs are notorious for having troubles. 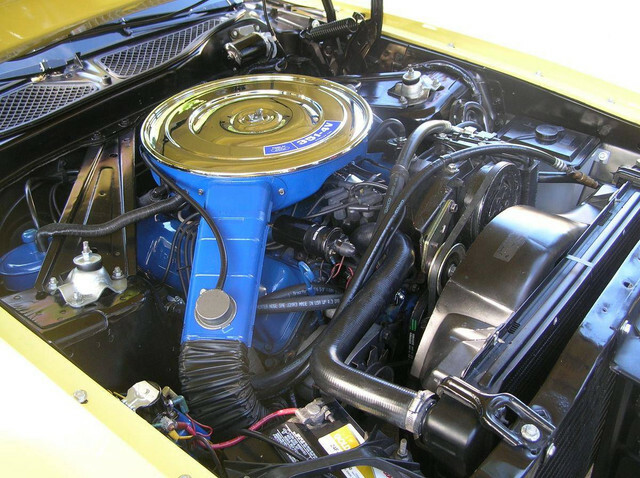 There is a Blue Thunder intake that is good and allows you to run a Holley. Might be a better choice for now. Hi was in the same boat last year. My accelerator float was stuck open and actually started on fire. My 4300 was only a few years old too. I did the blue thunder, which actually lessened the weight in the front end, i combined it with a summit 750. Runs and starts like a champ now, no flooding issues and it starts with one pump of the accelerator. Also the car wants to accelerate now no bogging or dead spots in the peddle. Hey F16Dad Welcome to the site! Many if not most of us have changed carbs and intakes. I had the exact same thing happen, secondaries stuck open and sprayed fuel all over my engine. I was very lucky that I didn’t have a fire. I changed my stuff right away. Long story short I went with the Blue Thunder intake and this year went from a cheap Holley to a Quick Fuel 735. Man, what a Great carb and is about what I spent for the Holley. Just my experience, but it really is a big difference. Summit makes some nice carbs too, but either the Blue Thunder or the Air Gap intake is your 1st step to wake up your Q code. Anyway good luck and have fun with your ride! I am thinking about leaving my (damaged) 4300D on the shelf as well. Is it possible to keep the stock look with a blue thunder manifold and different carb or is the height increased significantly? Cool, glad you got it worked out! I put a 1406 on my car 2 years ago and have no issues. Starts now when it cold out now and idles great. My motor craft 4300 D leaked fuel everywhere also. Its now sitting in a box on a shelf. By using the adapter and new carb, did it change the overall height much? I have a 73 Q code as well, along with Ram Air. My 4300D is working pretty good now....but I had it apart way too many times, to bend the float bracket, so it wouldn’t hang up in the bowl. I’m always leery of it flooding again when I take it out and I don’t trust it.